GENOA - The Serie A 2010/11 Week 27 late kick-off between Sampdoria and Inter finished 0-2, at the Stadio Luigi Ferraris in Genoa, where Inter hadn't won for four years. There were no goals in the first half, although the beginning of the match had seemed promising for an Inter side who weren't particularly effective. It was Sampdoria who were growing in strength towards the end of the first half after Poli hit the post. 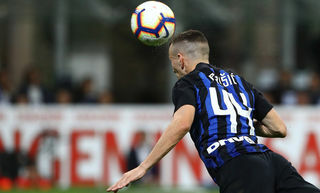 In the second half the Nerazzurri struggled at the beginning, but on 73 minutes they took the lead with a superb Sneijder free-kick. In the 80th minute the Dutchman made his presence felt by hitting the post. 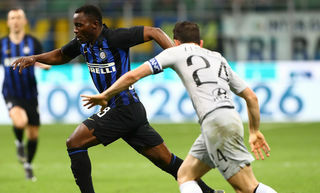 In added time at the end of the second half, Inter made it two when Eto'o dribbled Lucchini and hit a hard, low drive to score. 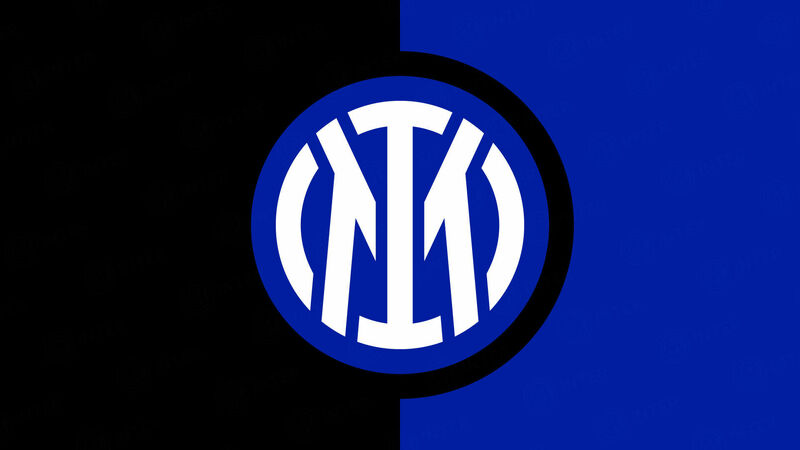 Inter moved onto 53 points with this victory and into second place in the league, just two points behind leaders AC Milan who meet Napoli tomorrow. FIRST HALF - In the battle against Sampdoria, Leonardo chose the central duo Lucio and Ranocchia, with Nagatomo and Chivu playing wide of them; the midfield was made up of Kharja, Zanetti and Stankovic, with Sneijder behind Eto'o and the great former Samp player Pazzini, in the front line. It was an emotional return to the Stadio Luigi Ferraris for him but ex-Inter player Biabiany began the match on the bench. Inter started off well, but Sampdoria weren't taking things lying down. They were aggressive and worked hard on the wings. The match was being played at a steady pace and in the 8th minute Stankovic tried to break the ice with a long-distance shot following a pass from Sneijder. Shortly afterwards Chivu crossed into the area but Gastaldello turned the ball wide for a corner. 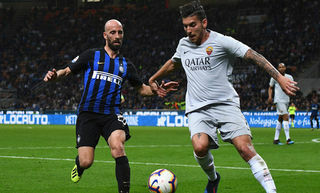 The Nerazzurri kept the pressure on with a shot from Ranocchia who picked up a pass from Sneijder and sent the ball sailing over the bar into the stand. Sneijder, once again, was in the thick of it on 13 minutes when he set up Kharja whose header went narrowly wide. One minute later, the tables were turned as Lucio timed his tackles to perfection; firstly on Mannini and then on Palombo. On 16 minutes Sneijder's free kick could have given Inter the lead; but Curci was having none of it. In the 17th minute Julio Cesar showed his class by stopping a useful shot by Maccarone. With 23 minutes on the clock Poli took aim and his right-footed effort went just wide. In the 27th minute Lucio blocked a left-footed shot from Ziegler and, a minute later, Sampdoria were back on the attack with Lucchini and then with Mannini. The Nerazzurri held off the Sampdoria attacks well. Inter had another great chance after 34 minutes when Pazzini crossed from the right for Kharja who just couldn't stretch his leg out enough. Samp were safe. 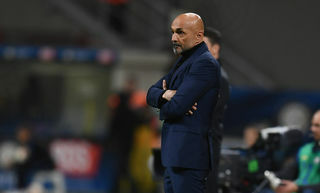 They proved they could be dangerous, too and on 39 minutes Dessena found Ziegler, but Ranocchia was at hand to close down the defence barriers again, along with Nagatomo who kept Poli at bay. In the 41st minute Eto'o tried out his right foot with a shot on goal, but Curci made the ball his. Sampdoria came close after 43 minutes with a close-range shot from Poli after he had been put through by Guberti. On the 45 minute mark Kharja passed to Eto'o on the edge of the area but he hit the ball straight at the goalkeeper. Honours even at half time, but no goals. SECOND HALF - No changes were made by either side during the interval. Sampdoria got off to an aggressive start with Dessena and Maccarone, while Inter laboured to get balls to Eto'o and Pazzini. On the hour mark Sneijder sent a left-footed shot just wide. Two minutes later Julio Cesar pulled off a wonderful save from Maccarone. Inter had a great chance after that, on 72 minutes, when Eto'o crossed hard from the left of the area and Pazzini headed, but Curci managed to stop it. A minute later Inter took the lead. A brilliant curling free-kick from Sneijder punished the home side. On 80 minutes it was Sneijder again who stepped up to take the free but this time he could only hit the post. Julio Cesar kept things alive on 85 minutes when he saved from Koman, who was in an offside position. In the 89th minute it was Pandev who set Eto'o up and Curci punched his shot away. Eto'o was back in the midst of things once again but the Sampdoria keeper was a match for him. Then in the 4th minute of added time, Inter's second goal came. Two attempts failed and then the man from Cameroon hit the third one. A hard shot at ground level and there was no stopping it. Inter collected all three points in the ground where they hadn't won for four years. After four minutes of injury time Sampdoria v Inter finished 0-2. Bookings: 70 Lucio, 72 Gastaldello, 79 Volta, 81 Poli, 90 Chivu. Leonardo: "Really satisfied with this win"